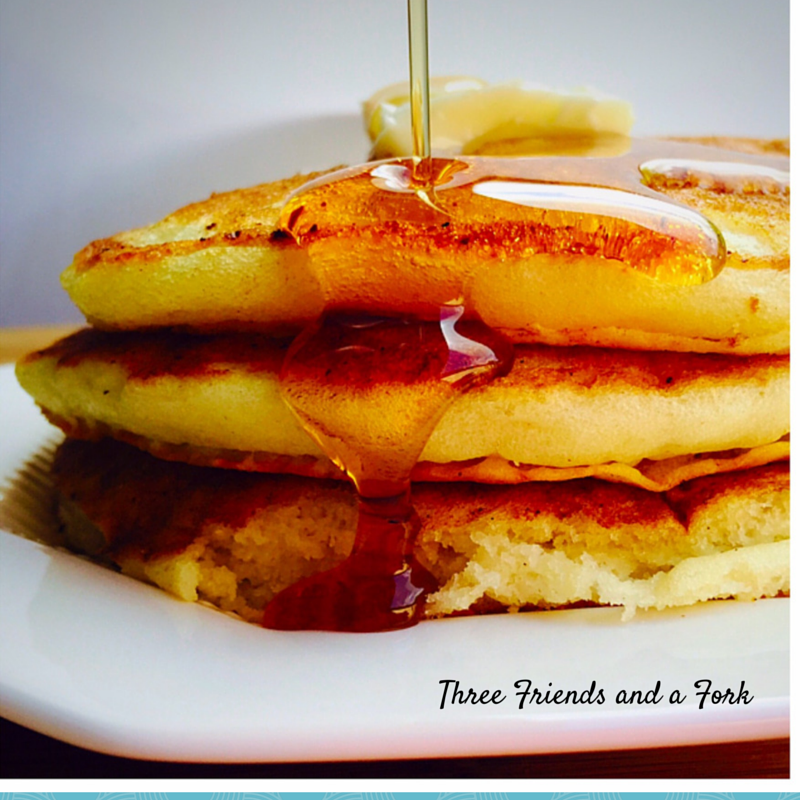 We kind of missed National Pancake Day, but here are two pancake recipes for you to try anyway. 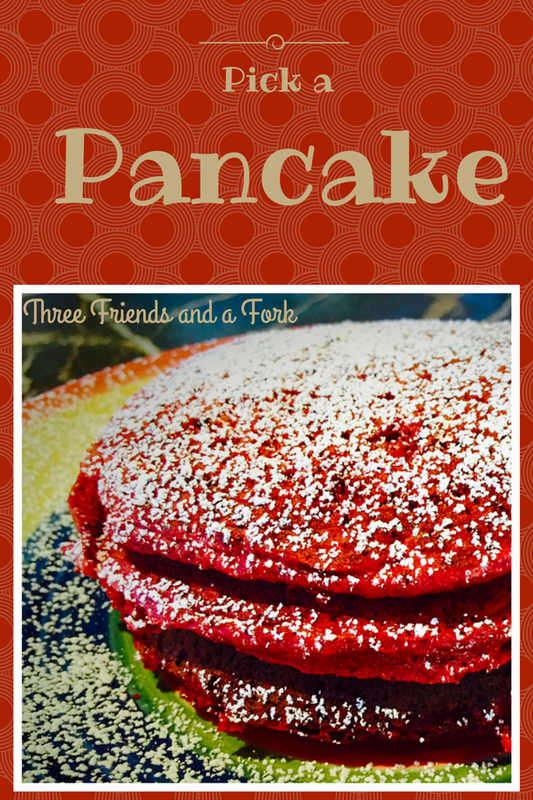 The first is a new recipe for red velvet pancakes that I was inspired to try because of my love for red velvet cake. It is kind of a mix of recipes I have seen on the internet along with inspiration from my favorite go to recipe, Miss Mary Bobo's pancakes. I think they are the best pancakes ever and I know I can always count on them. 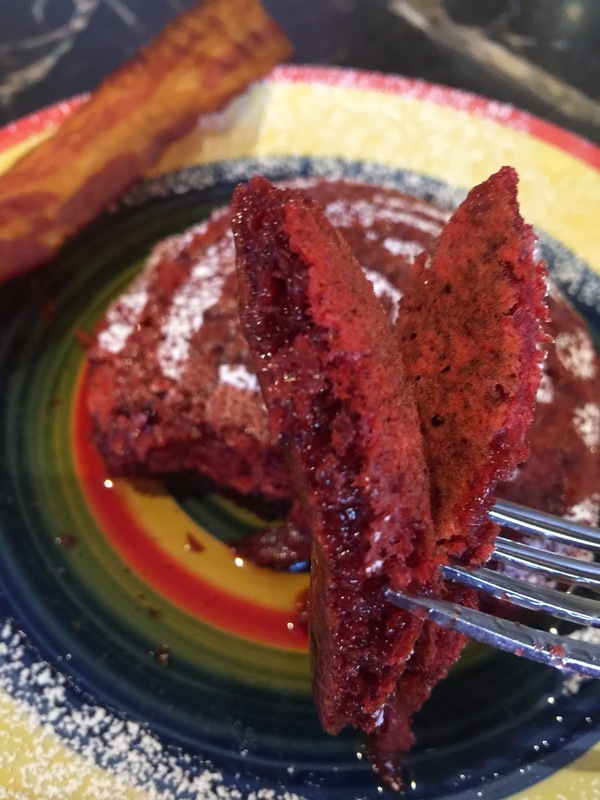 The red velvet pancakes are really pretty and slightly chocolaty. Then, I am including the recipe for Miss Bobo's pancakes. I make them at least once a week, often enough that I no longer have to look at the recipe. It is easy and dependable, always fluffy and light. Try one...or both! Add wet ingredients to dry. Stir until just combined. Batter will be slightly lumpy. Add chocolate chips if desired. 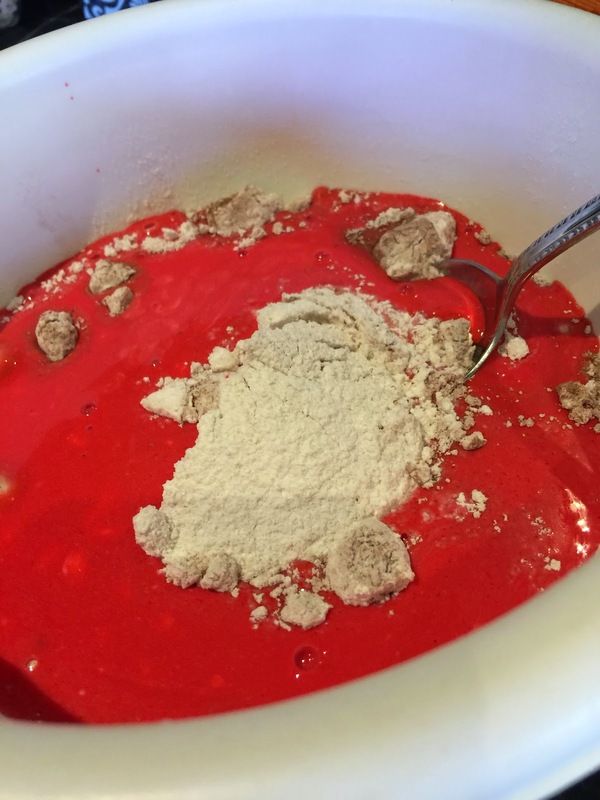 Using a 1/4 measuring cup scoop the batter onto a hot griddle. Cook until bubbles form on the surface of the pancakes and then flip them over. 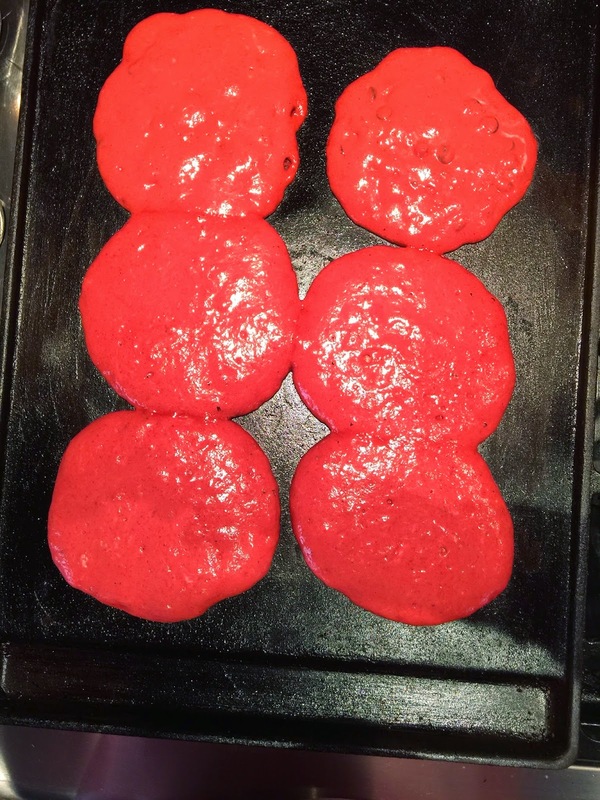 I got these a little too close together on the griddle. You might want to space them out a little more! I just cut them a part with my spatula before flipping. 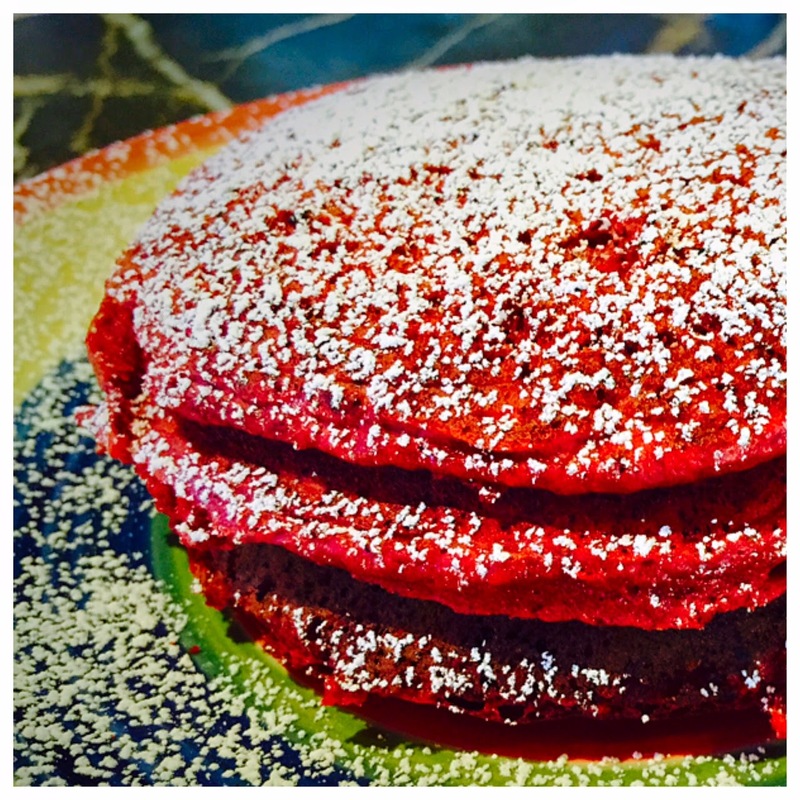 Some recipes serve red velvet pancakes with a cream cheese frosting, but I knew that would be too rich for our family for breakfast, so I dusted the pancakes with confectioners' sugar and served them with warm maple syrup. 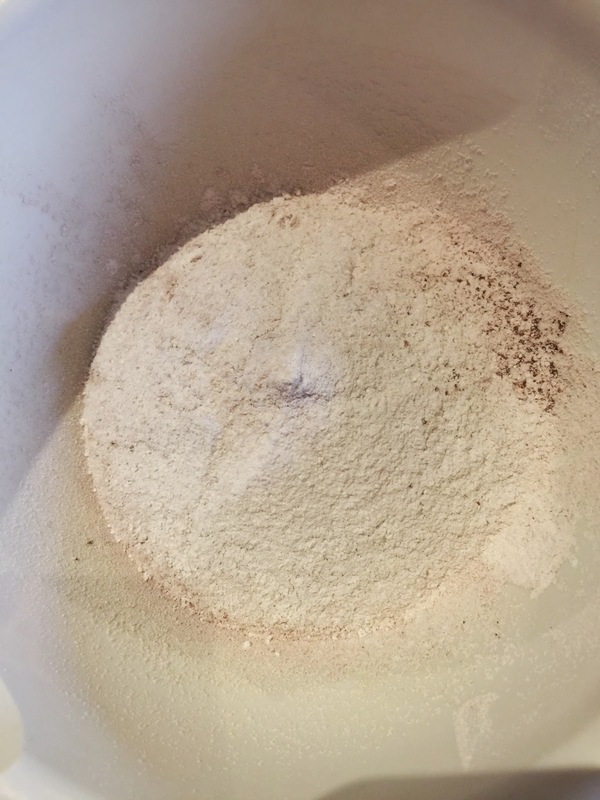 Combine wet and dry ingredients and stir just until combined. Batter will be slightly lumpy. 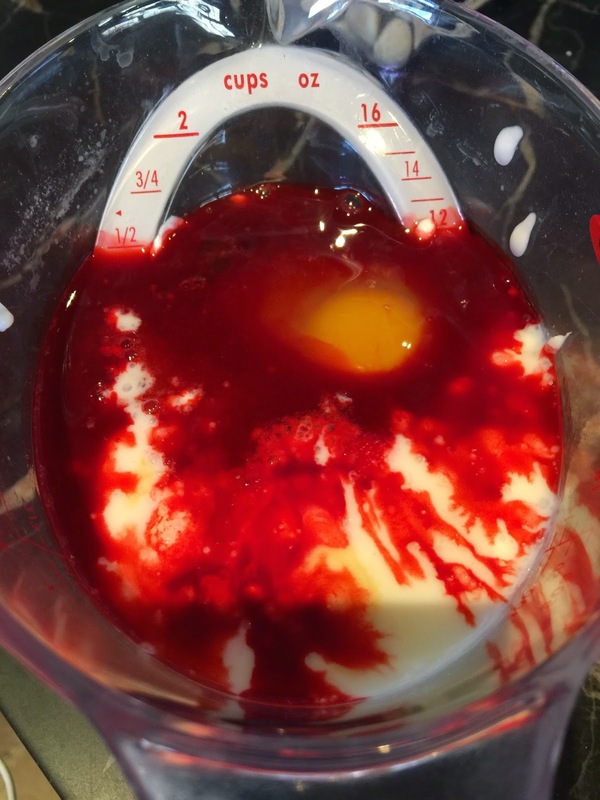 Add blueberries or chocolate chips if desired.